An international cosmonaut recently shared some amazing images of the Grand Mosque in Makkah taken from space. 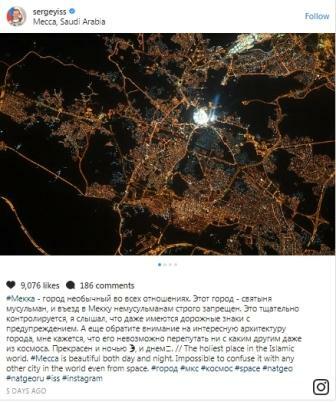 Russian cosmonaut Sergey Ryazanskiy - who travels around the world and takes photos from space - shared the images on his Instagram page. He captioned the post: "The holiest place in the Islamic world. #Makkah is beautiful both day and night. 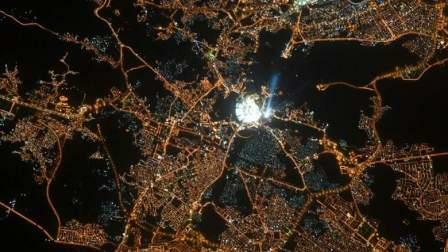 Impossible to confuse it with any other city in the world even from space." He has posted images of Makkah from two angles. And they stand out. Ryazanskiy has also previously captured images from a number of other Arab locations, including Dubai, Egypt, Baghdad, Tunis, Saudi Arabia, Cairo and Yemen. Earlier, during the Holy month of Ramadan, DubaiSat-2 satellite - owned and operated by the Mohammed Bin Rashid Space Centre (MBRSC) - had captured a one-meter resolution image of the holy city of Makkah from outer space.